As I have said many times, this blog started out as a way to keep my family and friends in the loop while I was doing IVF. Telling the same BFN story fifty times every single month was becoming very emotionally taxing. 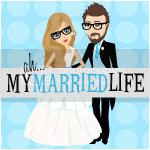 Starting a blog seemed like the logical choice. I could write the story ONCE and everyone could read it. I didn't have to hear "I'm sorry" a bajillion times a day. I could pick a few minutes during the day to read the comments and have a big cry fest in private. Then it would be over, and I could go back to leading my life. It was very therapeutic then, just as it is now as we are starting the infertility journey again. I can look back at almost two years ago and be reminded about every single step in my journey. Some are good memories, and some are not, but those are MY memories to keep forever now. At some point during my journey, the blog really took off. I had people following me that I did not know. I couldn't figure out for the life of me how they found my (then) unsearchable blog. It was at that point that I decided to become a REAL BLOGGER. I had "traffic", and I wanted to know who they were and where they were coming from. I did a little research and found a program called Google Analytics. I installed it on my blog and let me just tell you, if you don't have it...GET IT! It has been a great tool, I have also installed a few other programs since then, but this was my first. I occasionally check it (Ok, so maybe I check it DAILY. I would check it hourly but it only updates once a day). Not very surprisingly, most people find me from google. 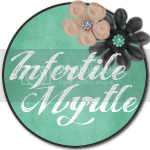 It helps when your blog title has the word "infertility" in it. However the part that I find the most interesting are the keywords that people type into google to somehow stumble across my tiny spot in the cyber universe. As you can probably guess, most of them read something like this "10dpo BFN", "4dp3dt IVF", "Infertility Overachievers" (thanks Mom for never being able to remember my blog address), and "Womack IVF". However some of them are more entertaining. I probably need to apologize to the poor people who came to my boring blog by way of "Does it snow in London" and also "London Bridge blog". Sorry, I really should have named him something less confusing like John. I made a little mental note of that for baby number two. Anyway, back to keywords. About a week ago, I got my first upsetting keyword. It was nothing dirty or disgusting. It didn't make me want to run to the bathroom and puke like some keywords I have heard from other bloggers. The raw emotion in such a simple little sentence just really made my heart break for the author. Keyword: "i want him to say sorry for infertility". When I first started typing this post I had every intention of getting out my soap box and going into a long "You are not separate in infertility...You are infertile TOGETHER...it is no ones fault...no one should ever have to say sorry for their own infertility...blah blah blah" rant. However, the more I wrote about why I started this blog, I began to remember how devastating primary infertility was on my life, my marriage, and as sad as it sounds, my ego. It was one of the hardest things I have ever gone through. What I wouldn't have given for it to be someone else's fault. Anyone else's fault but mine. Someone to blame. Someone to curse at, to yell and scream at, Someone to hold responsible for the horrible hand that I had been dealt. Anyone, anyone but me. Accepting infertility is a process. It's not like we can just swallow it and say, "Phew, at least infertility won't kill me like cancer will" (Which, on a side note, is the dumbest thing someone said to me in the midst of my battle to have a baby.) Everyone grieves in some way, shape, or form at the loss of the "dream" of naturally conceiving child. A dream you never even knew you had until you heard the dreaded "infertile" word come out of your Doctors mouth. Who am I to judge how this woman is grieving? Who am I to preach at her? I've been there, maybe not in the exact same thought process, but I've been there. We all have. I second that! Just kinda wanna scream! I just checked my Google Analytics (I have become a BAD blogger and quit checking it daily since I have only been blogging about once a week) and saw that I have had 21 hits from people searching "Infertility Overachievers" I guess it is because I have your blog listed on my sidebar! I love Google Analytics. I got it right after I started my blog and I love seeing where people from around the world are coming on to it. Hey thanks for your comments! I'm just getting up to speed on your journey but wanted to say "good luck" in trying for #2! You probably need a refresher around the useful tips every online small business owner should find out about.